We are a complete pool and spa and service company. We service new pools and replastered start-ups. We are competitively priced and use the best pool chemicals. Call us for your pool equipment needs. We specialize in system upgrades. We have 20 years’ experience with the highest quality service and repairs that will keep your poor in sparkling condition. We work hard to stay on top of the latest technology and developments in the swimming pool industry. We are proud members of the United Pool Association (UPA). Our monthly affiliation with vendors of every type of pool equipment provides us ongoing product education, and we enjoy growing with the ever-changing swimming pool industry. The care and maintenance of your swimming pool should not be taken lightly. An improperly maintained swimming pool can harbor a host of bacteria and algae, which can stain and discolor your corona swimming pool plaster. At Brookside Pools, we strive to provide the highest standard for your swimming pool service at the most reasonable prices . 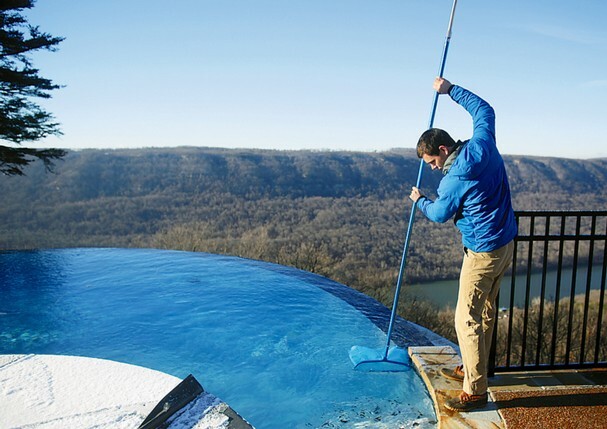 A professional pool service will save you from costly repairs due to neglect and wear and will leave nothing for you to do except enjoy your pool year round.